MOSCOW (Sputnik) - The length of the Nord Stream 2 gas pipeline route in Danish waters under the third construction permit application in Denmark exceeds the original route by 25 kilometres (15.5 miles), Nord Stream 2 AG, the operator of the Nord Stream 2 gas pipeline construction project, told Sputnik on Monday. Earlier, Indian Commerce and Industry Minister Suresh Prabhu called for the International North-South Transport Corridor (INSTC) to be put into operation "as early as possible." The INSTC's estimated operational capacity is up to 30 million metric tons of goods per year. The fourth annual Eastern Economic Forum kicked off on September 11 in Russia's Far East. The EEF has been held since 2015, and serves as a platform for developing political, financial and social ties between Russia and the Asia-Pacific region. 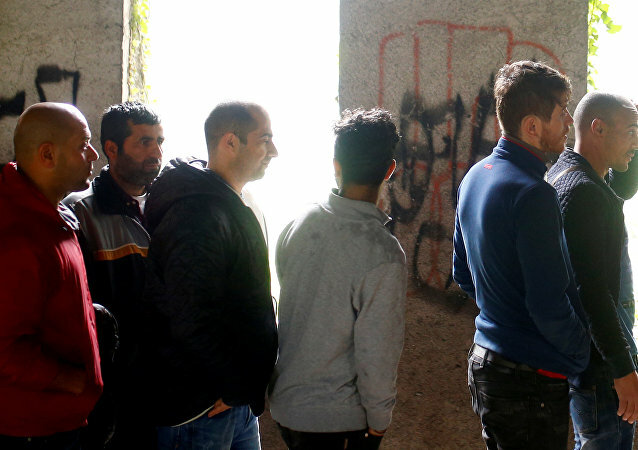 Commenting on Bosnia and Herzegovina currently being in the grip of a migrant crisis during an interview with Sputnik Serbia, political analyst Andjelko Kozomara predicted that the crisis would unlikely show any signs of abating in the immediate future. The Israeli government has lauded Air India’s new direct New Delhi - Tel Aviv route, which has been permitted to traverse the Saudi Arabian airspace. There is, however, one caveat: the national carrier seems to be up in arms over the innovative move. MOSCOW (Sputnik) - The Freedom Party of Austria (FPO) congratulated Italy’s Lega party on achieving great results in the election, expressing hope that both parties would succeed in closing the Brenner Pass on the Italian-Austrian border, a migrant route in the eastern Alps, Roman Haider, the FPO’s foreign policy spokesman, told Sputnik on Monday. 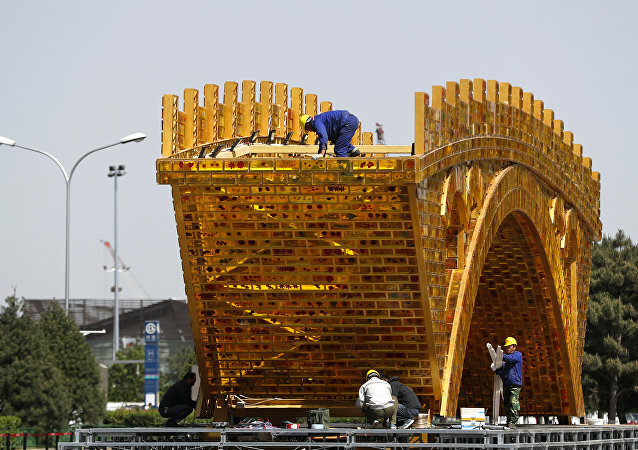 China's "One Belt, One Road" strategy was launched in 2013 and is aimed at developing infrastructure and strengthening ties between Eurasian countries. BEIRUT (Sputnik) - The Syrian government troops, with the support of the allied forces, pushed militants of the Jabhat Fatah al Sham terror group (formerly known as Jabhat al-Nusra or Nusra Front, banned in Russia) from eight villages and settlements in the north of Hama province, a Syrian military source told Sputnik on Saturday. Damascus-based transport companies have been providing buses to help bring Deir ez-Zor residents back home, a Sputnik correspondent reported. A total of six buses are transporting displaced people back to the formerly besieged city each day. 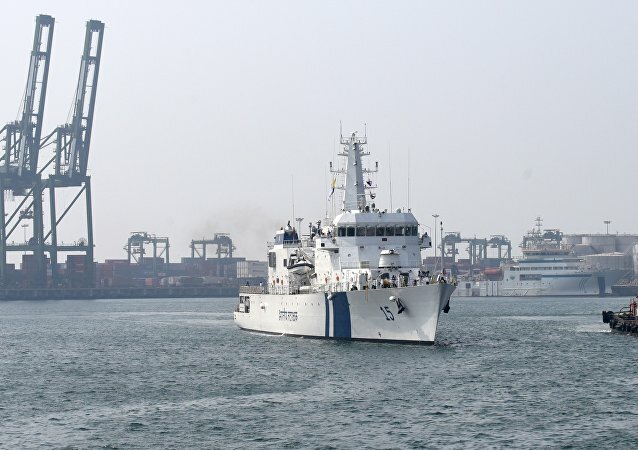 India has sent its first consignment of exports to Bangladesh via the new sea route between Tamil Nadu and Dhaka. The sea route is expected to provide a major thrust to bilateral trade by extensively reducing time and costs. India also plans to establish similar sea routes with other countries on its periphery. 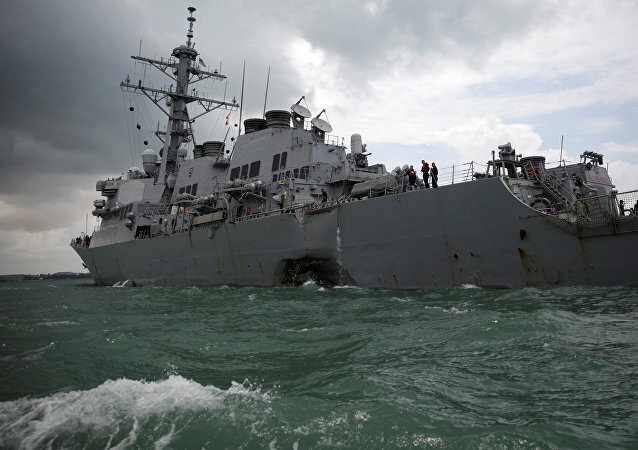 It is sheer negligence that stands behind a US Navy destroyer's recent collision with an oil tanker, a Russian military expert told Sputnik. India has had plans to counter China’s economic influence in Bangladesh but had failed to garner interest due to sustained delay in completion of projects. Russian deployed new air-route radar complex Sopka-2 on the Wrangel Island, spokesman of the Russian Eastern Military District (EMD) Alexander Gordeev said Wednesday. 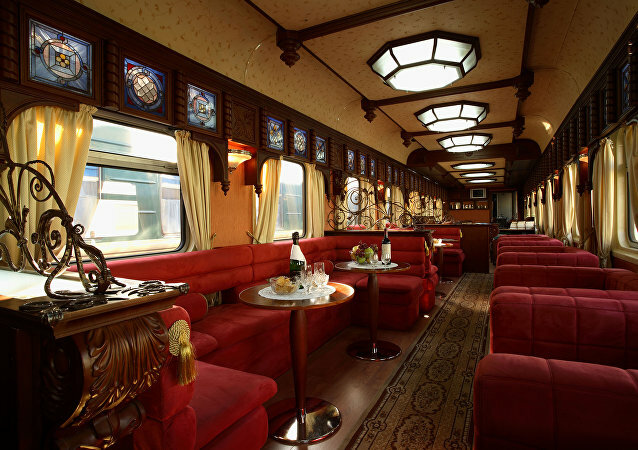 For the first time in the history of Russian railways, the most luxurious train called the Golden Eagle Trans-Siberian Express has been launched from Kazan railway station in Moscow with a final destination to Iran’s capital, Tehran. Russia and China plan to open a new cargo transit corridor through Mongolia by the end of the year, Alexei Dvoinykh, the head of the Russian Transport Ministry's Agency of Automobile Transport, said Wednesday. Russia's Northern and Pacific Fleet warship took part in tactical naval drills in the Arctic region, a spokesman for the Russian Navy said Wednesday. 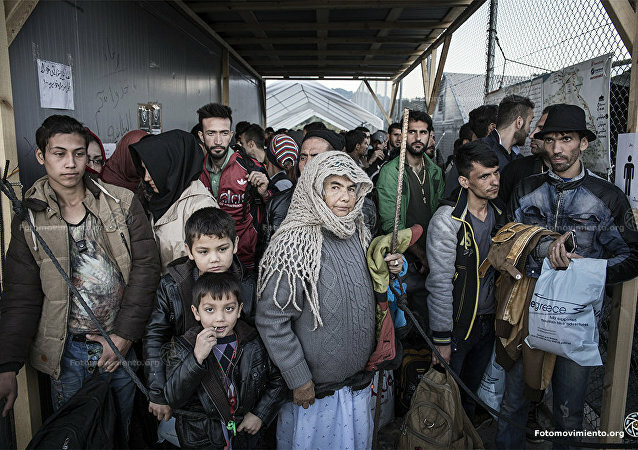 A study by the Overseas Development Institute (ODI) have found that over 330,000 refugees are traveling to the EU via "covert" and dangerous routes, not typically taken by most migrants who are fleeing war torn countries. Almost 25,300 migrants arrived in Italy last month, representing a 12-percent increase compared to the same month of 2015, EU border agency Frontex said in a press release Friday. 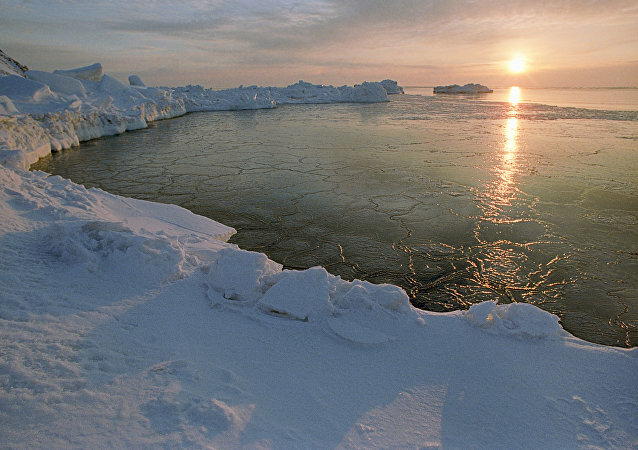 Instead of confronting each other, a former Senator from Alaska has suggested a way of bringing the two quarreling countries, the US and Russia, close to each other: the former politician proposed constructing a tunnel under the Bering Strait, similar to the one beneath the English Channel which connects Britain and France.